3. International Glossina Genome Initiative (IGGI) (2014). 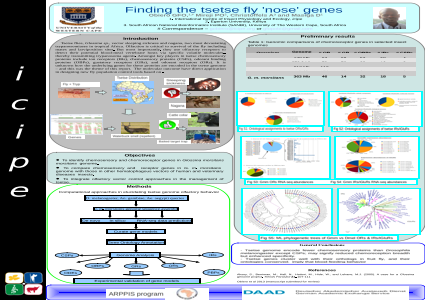 Genome Sequence of the Tsetse Fly (Glossina morsitans): Vector of African Trypanosomiasis. Science 344 (6282): 380-386. DOI: 10.1126/science.1249656.